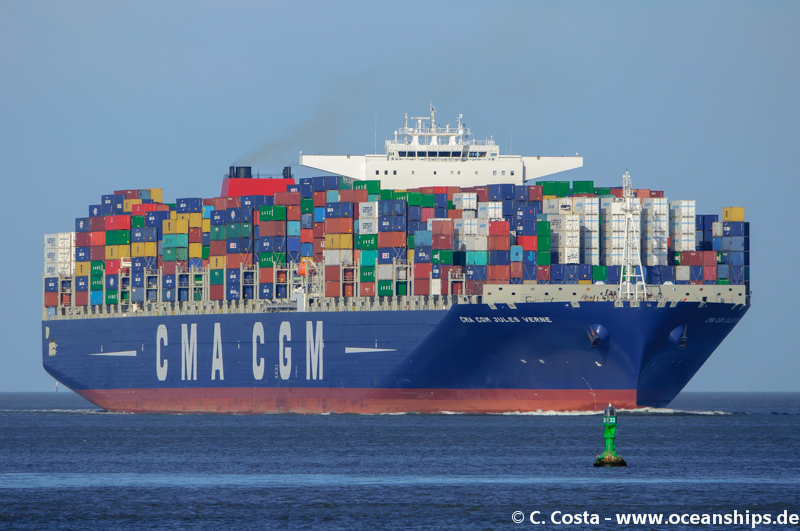 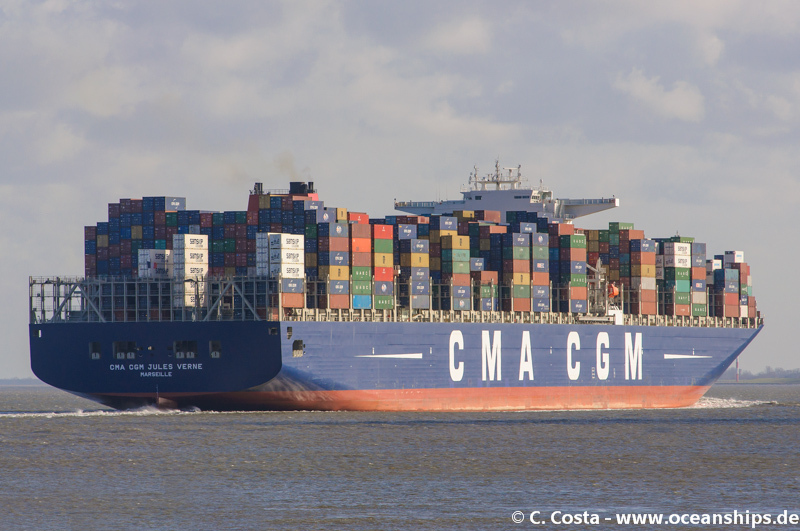 CMA CGM Jules Verne is passing Cuxhaven on February 13th, 2014. 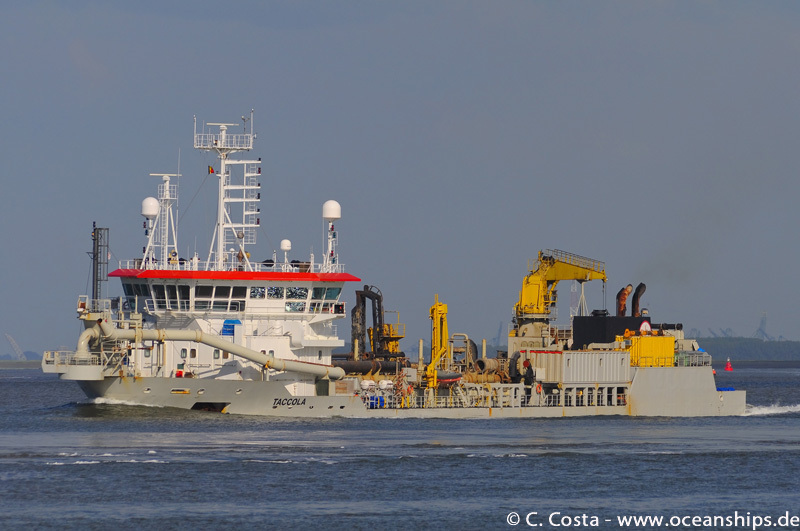 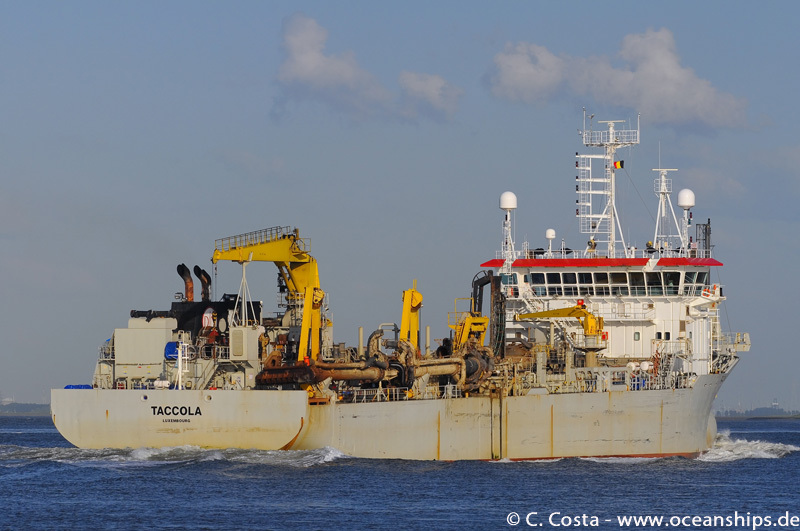 Hopper dredger Taccola is operating off Walsoorden on June 09th, 2011. 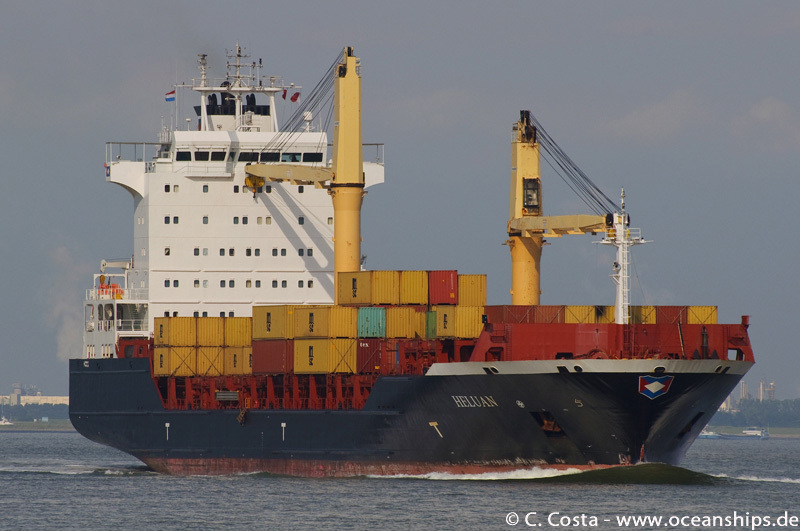 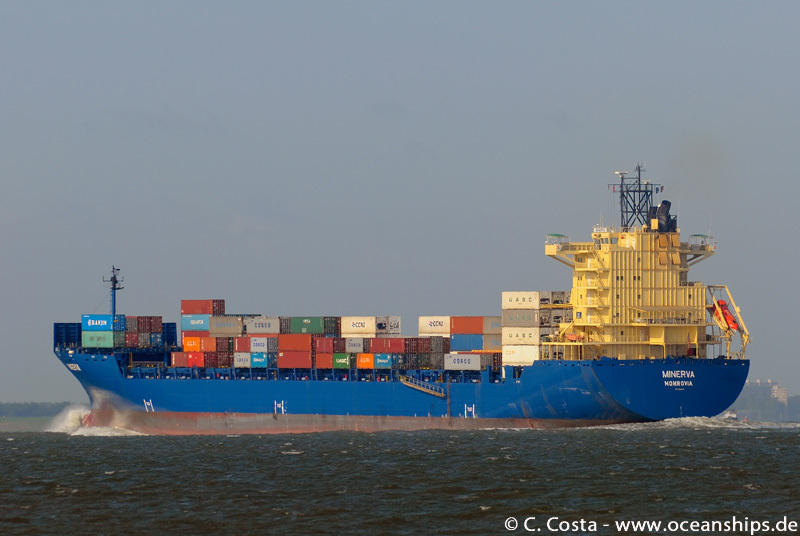 Feeder vessel Heluan is passing Zeedorp on June 12th, 2012. 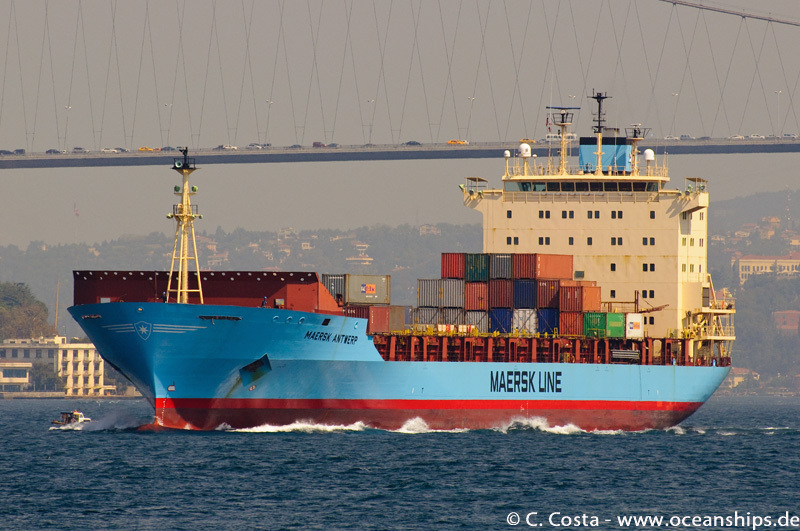 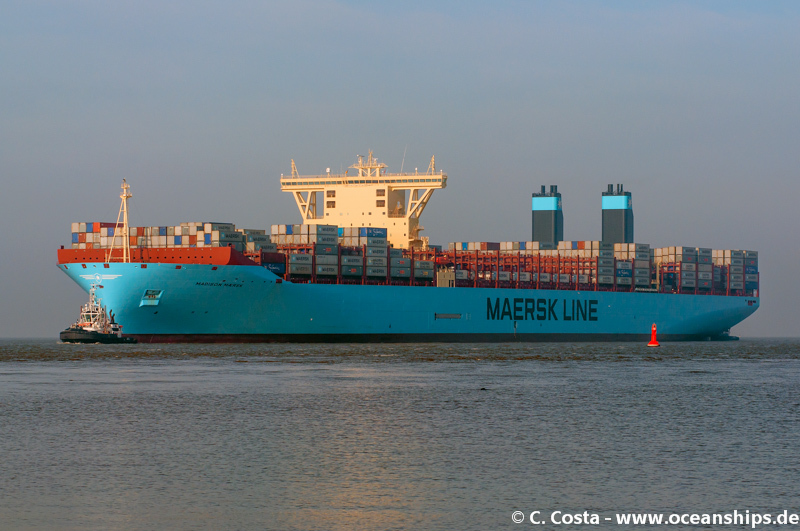 Feeder vessel Maersk Antwerp is passing Istanbul bound for the Sea of Marmara on September 13th, 2012. 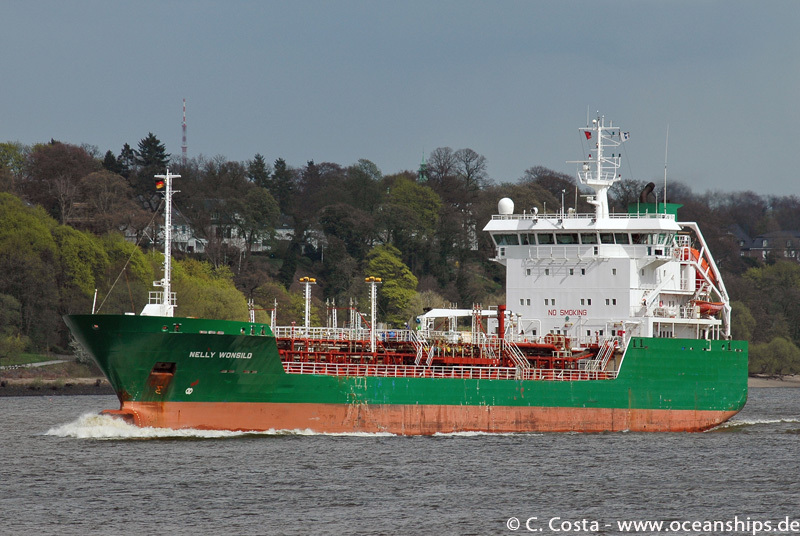 Product tanker Nelly Wonsild is leaving Hamburg on April 28th, 2006. 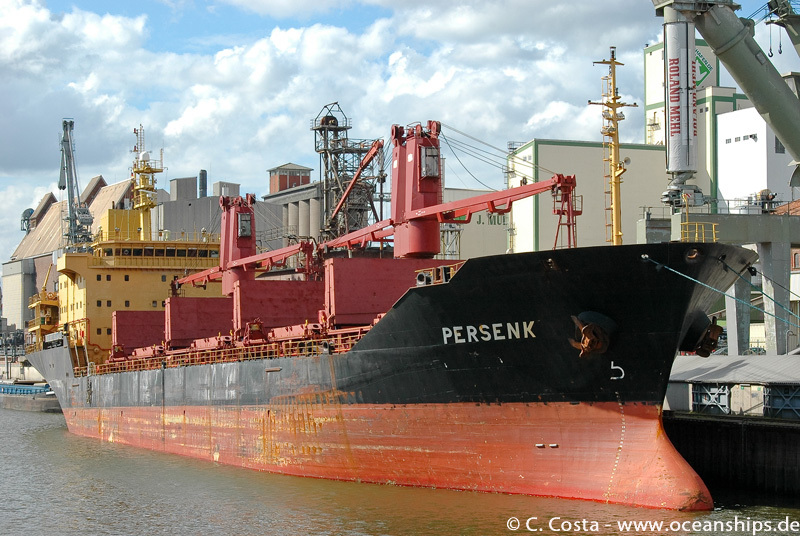 Bulk carrier Persenk is moored at Bremen Holzhafen loading flour for Africa on June 05th, 2009. 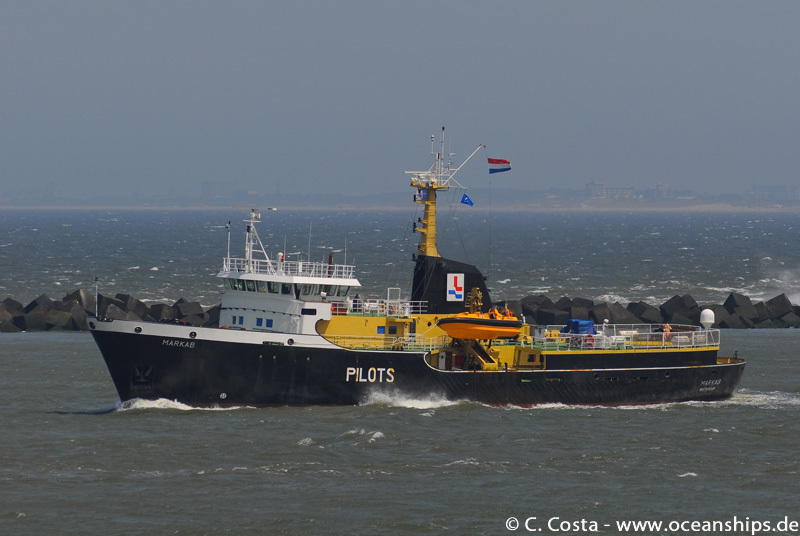 Pilot tender Markab is leaving Rotterdam towards the operation area off the port of Rotterdam on June 17th, 2010. 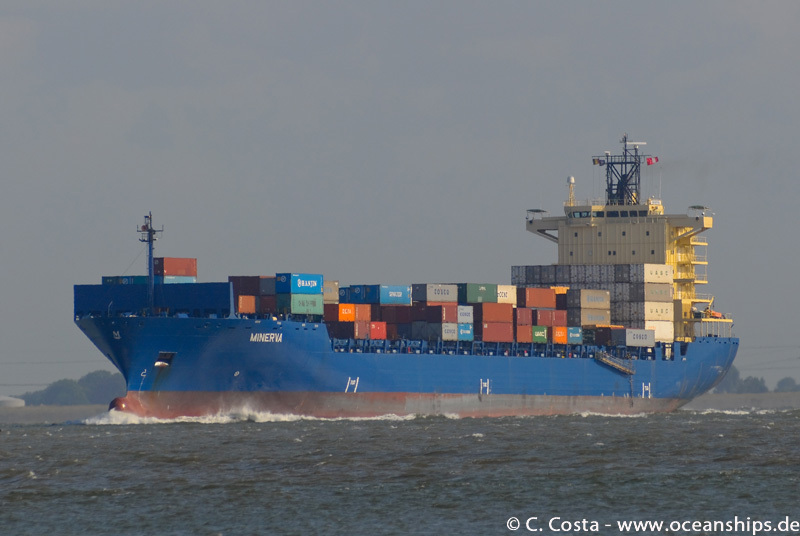 Minerva is passing Zeedorp bound for Bremerhaven on June 8th, 2011. 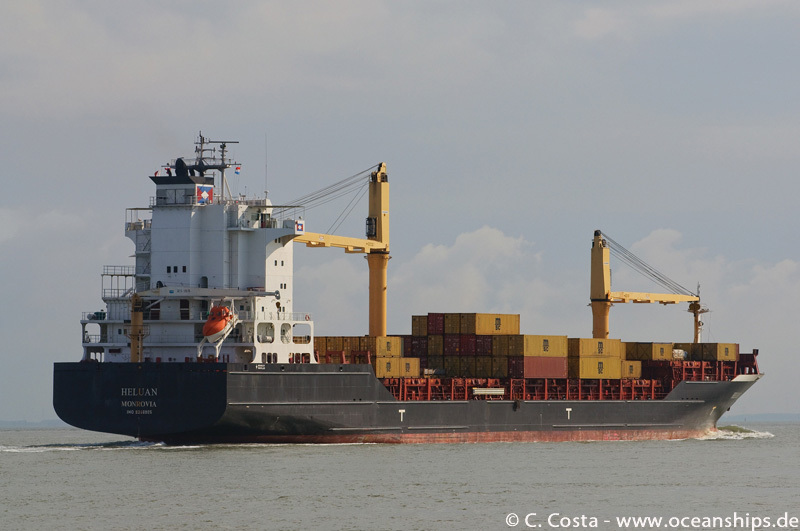 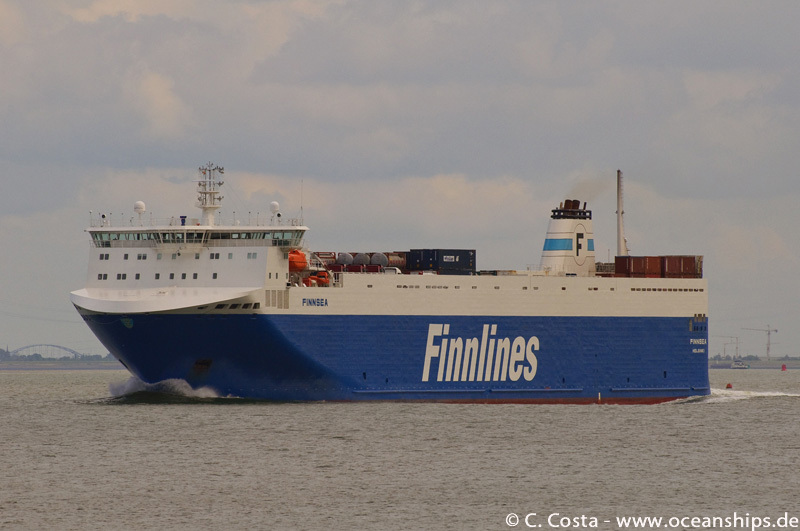 Ro/Ro vessel Finnsea is passing Griete on June 16th, 2012.